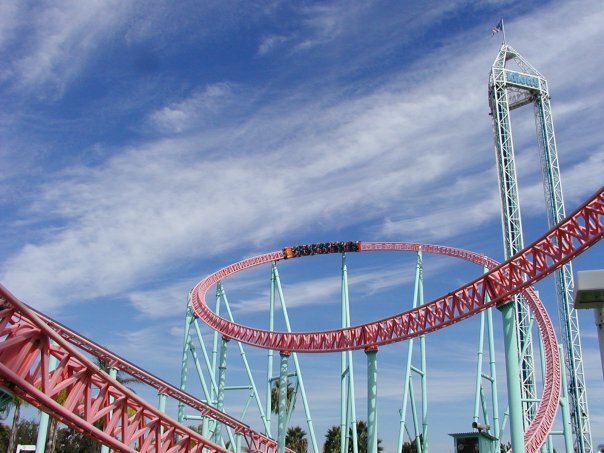 Inversions (or loops) on rides have been around almost as long as the roller coaster itself. But, have they lost their appeal and marketability recently? First, a brief history lesson – inversions have been around for over a century. Sadly, not enough was known about physics and engineering back then to safely (and comfortably) take passengers through them. 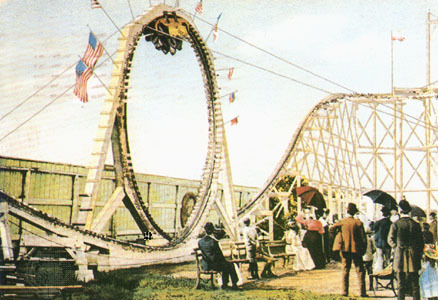 The “Flip Flap Railway” punished riders with high, uneven g-forces. 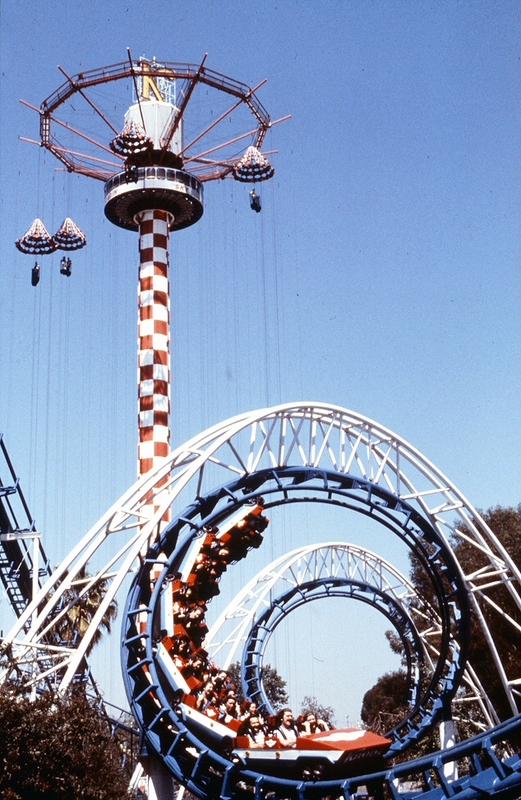 Fast forward to 1975, and technology had evolved to the point that inversions were once again on the table, only this time – they were much more than just vertical loops; corkscrews (which are basically stretched out loops) made their debut at Knott’s Berry Farm with the aptly named “Corkscrew.” The ride still runs today at Silverwood Theme Park in Idaho. Photo from the Orange County Archives. Soon, many other elements, such as pretzel loops, barrel rolls and Immelmans were being performed on a regular basis. The stakes kept getting raised at parks, with more and more inversions going into rides. Currently, the record stands at 14 inversions on one ride. Turns out, it was quite difficult to engineer track to specifications that were ideal for inversions AND for regular track. While most companies managed, you can still tell when the computer didn’t quite “get it right” when the roughness gets a bit out of control. Coaster enthusiasts and regular park guests love the freedom to move around. Who doesn’t want more legroom on a flight, right? Because most multi-loopers have what’s called an over the shoulder restraint (OTSR) or “horse collar” restraint, our bodies are restricted from any movement in the upper body. Unfortunately, this leads to the ubiquitous “head banging” on many older looping rides with this style of restraint. Even older B&M coasters, lauded for their incredible levels of precision, can have headbanging moments with these types of restraints. There is some credence to this theory – the Steel Phantom at Kennywood, which used to feature inversions when it debuted, was altered to remove them in favor of airtime hills and a simple, lap bar restraint system. The ride subsequently saw a resurgence in popularity. What do you think? Are inversions over-rated or just misunderstood?